Fisker Automotive today named Tony Posawatz, the former head of the Volt program at General Motors as its new Chief Executive Officer. 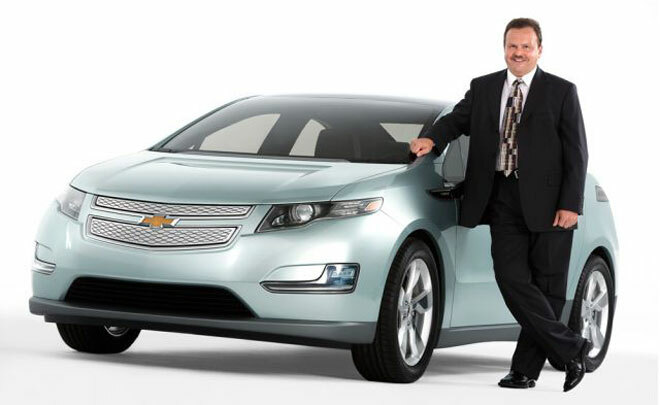 A well-known automotive industry professional with more than 30 years of experience in product development, strategy, program management, manufacturing and quality at General Motors, Posawatz's last role was as GM's Vehicle Line Director and key leader of Global Electric Vehicle development, where he was responsible for the award-winning Chevrolet Volt – bringing the car from concept to production. "We are delighted to be adding an executive of Tony's caliber to the Fisker Automotive leadership team," said Executive Chairman and Co-Founder, Henrik Fisker. "His depth of knowledge and experience in this innovative field of new technology means that he is one of the world's most experienced leaders in vehicle electrification technology and the plug-in ecosystem. In the long-term he will ensure that Fisker is well positioned to maximize the potential of not only the Karma sedan, but also bring the Fisker Atlantic smoothly to market." Posawatz has consistently been recognized as an industry leader in product innovation and electrified vehicles and served as Chairman of the Board for the Electric Drive Transportation Association (EDTA). In addition he led GM's initial efforts on hybrid programs and related technology development and was "employee number one" and founding member of the Chevrolet Volt program back in 2006. "Tony is the perfect CEO for Fisker," said Tom LaSorda. "He has been at the forefront of the industry's technological revolution and one of the few people in the world to bring an EV to mass production. Said Henrik Fisker, "Ultimately, Fisker Automotive is all about products that challenge the way that we think about cars for the next generation. Tony's expertise will guarantee that Fisker leads the way with its second-generation powertrain technology for the Atlantic and other future Fisker products."